Tracy's offers all your favorite pub classics with a bit more panache. With a nod to our Irish beginnings and a mix of our Italian heritage, you will find our food approachable and comforting. Our entree portions are larger so come with an appetite and bring friends! 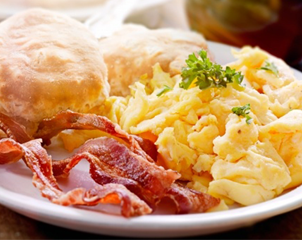 Be sure to check out our amazing brunch every weekend starting at 9am. The dessert menu that is offered up as a special is homemade by the Chef’s mother, Carolyn. When you come in, be sure to make room for some of her specialty sweets! From Live Bands to a Rockin' DJ music that will get you on your feet, Tracy's is a fun local bar to come kick up your heels and have a good time. Be sure to check out our entertainment calendar for the latest on who will be performing. "We have made it our goal to bring our customers homemade, fresh food in a friendly, family-oriented atmosphere. ."